At LHC Group, we are firmly committed to the highest standards of ethics, integrity, professionalism, and compliance. We’re proud to say our comprehensive compliance and ethics program has been recognized as a model for home health care nationwide. Our compliance and ethics program includes auditing and monitoring, enhanced lines of communication between the chief compliance officer and employees, consistency in the standards we set for ethics, and compliance and increased awareness of these standards through a robust training and education program. In everything we do, our actions and decisions are aligned with our purpose, mission and vision. We are committed to doing the right thing every time — without exception. In addition, we have also established extensive policies and guidelines anchored around privacy and security and the Health Insurance Portability and Accountability Act of 1996 (HIPAA), the Health Information Technology for Economic and Clinical Halt Act (the HITECH Act), and HIPAA regulations for our patients, employees and business associates. Our code of conduct and ethics provides guidance to all LHC Group employees, contractors and board members on carrying out daily activities within appropriate ethical and legal standards. The code of conduct and ethics was developed to help ensure we meet our ethical standards and comply with applicable laws, rules and regulations. It is a critical component of our overall compliance and ethics program and is an important resource — especially in situations where questions may arise about determining the right thing to do. All employees and representatives of LHC Group are required to conduct themselves in a way that supports the highest standards of ethics and integrity and to follow the standards set forth in our code of conduct and ethics and our policies and procedures without exception. Download the LHC Group code of conduct and ethics. All new employees and new contractors — and all employees and contractors on an annual basis —must attend a one-hour orientation on the LHC Group corporate compliance and ethics program. We also require annual distribution of the code of conduct and ethics; each employee, including contractors, must receive, acknowledge, review and attest to the code. All attestation statements are tracked and stored. Additional specialized training is offered in areas such as eligibility for home health and hospice, HIPAA, privacy and security, clinical and quality, coding, billing and reimbursement and sales and marketing. Training is delivered through webcasts, online courses and instructor-led sessions. All training is tracked in the company’s learning management system. We have a full suite of compliance policies and procedures. We perform a routine review and revision of our policies and procedures to stay abreast of both internal and external developments. All employees receive updated policies and procedures for review, specifically those that are directly related to job function. Our compliance policies include a code of conduct related to sales, marketing, education and entertainment activities with referral sources. This policy establishes rules and procedures governing our employees’ interactions with current and potential referral sources as well as those with the ability to influence or recommend a referral to one of our providers, helping ensure current regulations and laws are followed. LHC Group has developed extensive auditing and monitoring programs to assess internal controls and processes for compliance with all applicable laws, rules and regulations. The Office of the Inspector General has published areas of concern for home health agencies, hospice and acute care facilities. Our compliance department has developed individual work plans and audit tools for each area of concern to assist in evaluating our company’s risk for each of these areas. Compliance professionals work in conjunction with other departments to accomplish the necessary goals and objectives for each compliance work plan. Audit frequencies range from monthly to annually depending on potential risk and vulnerability factors. Findings and recommendations are documented and monitored through our compliance information system. Each review provides valuable guidance to assist in strengthening controls and improving overall performance throughout our agencies and facilities. The analysis of this data assists in identifying both trends and opportunities for improvement within our company. LHC Group is committed to maintaining the confidentiality, privacy and security of its patients’ protected health information. Consistent with the Health Insurance Portability and Accountability Act, we do not use, disclose or discuss patient-specific information, including patient financial information, with others unless it is necessary to serve the patient or required by law. A copy of our Notice of Privacy Practices is provided to each patient at the time of admission. The notice describes how protected health information may be used and disclosed and how to access PHI. Download a copy of the notice in English or Spanish. 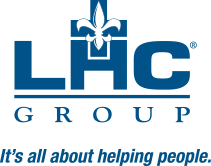 LHC Group’s IntegrityLine compliance hotline provides a confidential and anonymous line of communication for employees, contractors and third parties to communicate with the LHC Group compliance department. Individuals may contact the IntegrityLine 24 hours a day, seven days a week, at 1.888.703.0301 or at www.lhcgroupintegrity.com. The toll-free telephone number and website are hosted by an independent third party vendor. LHC Group makes every effort to maintain, within the limits of the law and within the bounds of an appropriate investigation, the confidentiality of the identity of any individual who uses the IntegrityLine or dedicated website. There will be no retribution or discipline for anyone who reports a possible violation in good faith. The audit committee of our board of directors provides regular guidance regarding the direction of the company’s compliance and ethics program. In addition, the committee receives regular reports on the status of the compliance and ethics program. Our chief compliance officer has a direct reporting line to the audit committee. The compliance committee monitors the compliance and ethics program and is comprised of members of senior management and other key leaders within the LHC Group family. The compliance committee receives reports on the various audits and investigations performed by the compliance department. Each employee has a shared responsibility and commitment to our mission of healthcare service to our patients. Compliance and ethics are the responsibility of every LHC Group employee, and every employee is required to always do the right thing, without exception, and to make all clinical decisions based solely on the needs of the patient. As a national leader in post-acute care, LHC Group is pleased to share compliance resources with others in the healthcare industry. The following information may be helpful to healthcare organizations focused on compliance issues.